In This Communications Age, what’s a Realtor Worth? We’ve become a society driven by independence and self-sustainability. From doing it yourself projects around the house, to finding ways to make some extra money without having to go through the middleman or spending a load of money. However, sometimes, do it yourself may not be a suitable idea when it comes to bigger things such as selling your own home. Unlike selling your old tea set on Craigslist, selling a home takes a lot of planning and logistics that a Realtor is trained to handle for the home seller. So why not sell my own home? Couldn’t be any harder than selling my own car, right? Many will try to convince you that you can sell your own home, no problem and that realtors are out to take potential profit away from you. That could not be farther from the truth. What most do not see are many details and procedures that are done to ensure you get the best for your home. A Realtor not only brings ease of mind but they also come with leads, clients, resources to advertise and sell your home quickly and efficiently without the painstaking task of handling that burden yourself. It is not as easy as posting a for sale sign on the front lawn in hopes a passer by will stop and shower you with money to buy your immaculate home. They are the middlemen who handle the difficult task of negotiating with potential home buyers as well as help make sure the home is properly priced to sell. They handle the stresses of the paperwork involved, banks, and inspections. They are trained to present your home to the public in a manner that will intrigue potential buyers into buying your home for less than what many think they take. In the end, the stress of something so big can be quite overwhelming and a Realtor is the person to take that huge burden off your shoulders so you can focus on what is important. There are more than 100 items on a checklist that your Realtor does for you. Take the advice and hire yourself a Realtor! Will Investing at an Early Age Greatly Improve Your Later Years? Some businesspeople start developing their dream of making a fortune in real estate early on. Though, they seldom start working towards the necessary preparation of attaining their goals from the beginning. Investment specialists believe that one can be better prepared for a positive future as real estate investor by paying attention to the critical points. Keep these five issues in mind as you go forward with your investment plans. So the first thing you need to invest in is some education on being a wiser investor. Keep Saving: There is no point of just dreaming about becoming a real estate investor. Take action by putting aside small amounts of cash from your weekly check. Not only will you have funds for your first investment, but also remain motivated towards your goal. Keep it Clean: We mean your credit rating and history. In order to make a real estate investment, you’re going to need help from a finical advisor. Don’t default on bills and credits, then you’ll find it easier to get the assistance that you need. Start Learning: A Hefty amount of money will be at the stake when you finally make your mind up to invest in your first real estate property. For that reason, you need to learn as much about your field as you can.We advise you to read blogs online and follow all avenues that come to you. Minimizing Risk: Real estate investment requires a bit of risk. Look for ways to minimize your risk levels. Just co-borrow or invest in something less risky first. Safer ways of investing in property have already come to be. Find a Property Manager: It’s never too early for that. The reason is that there are many property managers in your area, and to find the best one for you will take time. After researching them, lock on to the one that best fits your needs. Step 1: Leverage the years: When you’re in your 20s, time is truly on your side. Compounding can help your money grow in a way that it never will again because you have time working with you. Step 2: Save more: By saving as much as you can while there are fewer demands on your income, you can put yourself ahead. Then, if, at some point, you lose your job, you’re not putting yourself as much behind. Step 3: Be aggressive: Out of all 20-something investors, only two in 10 have their cash in a reliable value market. You risk losing out on market gains by being more conservative. Investing when you’re young gives people the best chance to grow their money and have more income for your later years. Start by putting your finances in order. People’s needs change as time goes by. Quick investments may work for a few years, but what if your plan goes down the drain afterward? Invest in something that you can understand; no matter what your hobby is. Don’t confuse an investment with a hobby. You should not be considering your emotions when your thinking of your end game. That will lead to you performing better and people judging you better. Be unbiased when it comes to investing, and see every investment for what it is. You will have better chances of investing in something that’s undervalued, and you will see significant returns. Don’t take money out of an investment when things don’t look good. Don’t mix your money with your current investments. Don’t use money from your investment to fill your pockets too soon. Think about the types of investments that you make and understand that you may have to work on your portfolio. You don’t have to start all over because of some bad decisions. Don’t give up either. Investing is something that takes time to get recognition for. It’s something that you will do for awhile to make good money and not something to do to make fast money. You will begin to understand that no investment is guaranteed. The world today is unpredictable, so find a professional that you trust. Investing doesn’t contain many certainties, other than the fact that nobody works for your financial best interest as you do. It’s important for everyone to know that even the more ethical players in the financial industry earn their living based on the fees from the products they recommend to help you achieve your goals. Financial management is quite complicated. A lot of people use only personal referrals to locate advisors. While this method might improve personal comfort, in essence, it presumes that someone else has already checked out the advisor. If you follow this ‘advisory referral plan’, you may expose yourself to unnecessary risks. One investor trusted the referral of another without asking any questions. Neither of the defrauded investors thought about checking the advisers. Beware of financial advisor scams and learn how to protect yourself. Vet and verify any financial advisor’s background. Ask for names of long-term clients. Though a good idea, this theory, this protection has a downside, as the referrals could be prescreened or friends of the advisor. Be aware if his referrals have no problems, 110%, how do you really do that? Caution, authenticity may be hard to detect. Perfect investments don’t exist, and every financial product has a downside. If your advisor is unclear or you don’t understand the investment, it may not be for you. You might consider gathering a second and third opinion. Make the time to take a course in your specifics. Do not act in haste. Any attempt to rush is a red flag. Don’t be afraid to walk away if an offer doesn’t sound reasonable. You should imagine your new home for the many years of future living to come. A home that, over the years, will continue to support your changing lifestyle. Convenience has become an important objective for many new-home buyers wanting their homes to continue fitting their changing needs. You’ll be more satisfied with your new home by planning for your future needs. Homeowners who decide on staying in place should include the principles of universal design into their home. Universal design is the design of products and environments all people appreciate to the greatest extent possible. This may help you avoid the tedious chore of having to remodel in the future. The Construction drawings for your home are the blueprint detailing your home and how it is built. That is what your builder and subcontractor will use throughout the process of building your home. It’s important to spend some time going over the plans before you finish making all your selections. You need to get a full picture of what your space will be like, making sure everything is specified as you want it. Ask what all the little symbols mean. Study the floor plan and think about how you will use each room so that changes and modifications you want can be done during construction. It will save you valuable time and money. You may not be able to change some things in the plans, but ask, and you’ll know what to expect once construction begins. If the company has been around long, they have probably helped dozens of people through the process and know about all the pitfalls. If you build a two-story home make sure that you have a bedroom, bath, kitchen and living on the first floor. More than 35 percent of new homes have master suites on the first floor, a 15-percent increase over a decade ago. That allows those with aching backs or knees to be able to avoid the stairs. Take A Look Around – What are You looking at? What’s the view? Would you have panoramic, vast, exciting, serene, or something in between? It’s a real opportunity to choose what your views might be. When looking at homes where you plan to stay put in, be sure to look outside the four walls of the house itself and check out the topography of the site. Can you visit a neighbor without getting in your car? Are there wide sidewalks that encourage walking? Is there an easy grade throughout the development? Is public transit located nearby in case you are not able to drive? “Everyone wants to live in a place that looks first-class, whether they’re 35 or 85,” says Matthew Anderson, of Anderson Family Real Estate. Even grab bars in the shower have evolved, from the institutional looking devices found in the handicapped stalls in public bathrooms, to fixtures that better match the décor of your home. It’s possible to build a house that’s, both, functional and enjoyable while still being beautiful. Active adults, having worked all their lives, are starting retirement now and feel they’re buying their dream home. They want the best of quality and convenience and don’t want to sacrifice anything. People should consider how their lives are progressing and where they see themselves in years to come, and then make accommodations for that. If you’re fresh at purchasing real estate, you might want to read this over and then recruit the help of reputable real estate agents. Professionals have resources you don’t, including computer software that allows one to effectively search all MLS listings. The MLS tools available to professionals are more detailed than those accessible by the average individual and are able to advise you with greater accuracy and insight. Many first-time home buyers don’t take the time to get prequalified. They also often don’t take the time to shop around to find the best mortgage for their particular situation. It’s important to ask plenty of questions and make sure you understand the home loan process completely. Getting pre-approved gives the buyer a chance to find out how much home they can afford. A competent loan officer will tell the buyer not only the principal and interest payments per month, but also the estimated taxes, insurance, and mortgage insurance monthly amounts. This gives the borrower a true number to work with in order to decide their comfort zone when looking at potential properties. Also, sellers will be more interested in negotiating with you, and accepting you as their purchaser, if you’re working with a good RE agent, and if you’ve already been preapproved for a mortgage loan. If you are not preapproved, it can lengthen the timeline of the purchasing process and can result in additional costs. Before buying a home, get an inspector to examine it. You don’t want to have a home that needs tons of renovating. Not only will this cost a lot, you might need to change your living situation until it’s fixed. One simple way to start the entire real estate buying process is to get organized. You should have a notebook full of the information you get from newspapers, friends, online, and also from your agent. This will avoid confusion and make it easier for you to compare different offerings. Remember that your offer is very unlikely to be the only one on the table, so make a good offer. Do what you can to ensure it’s appealing to a seller. If you are looking to purchase some of or all of a building in order to open a business, make sure it is in a good neighborhood. When you open a business that is located in a poor neighborhood, most likely you will not have a large pool of customers. Real estate agents will be able to advise you as to the best places to open a business. It’s easy to get wrapped up in your present needs, but you should also think about reselling the home before you buy. The average first-time buyer expects to stay in a home for around 10 years, according to the National Association of REALTORS®’ 2013 Profile of Home Buyers and Sellers. Factor maintenance and repair costs into your buying budget, because even brand-new homes will require some work. Don’t leave yourself short and let your home deteriorate. When deciding on an agent, it is important to have a list of questions already planned out. You will want to know how many homes were sold during the previous year, as well as the number in your target area. The agent should be prepared to answer all of these questions in a professional manner. It’s absolutely vital that you find a real estate professional who understands your goals and who is ready and able to guide you through the home buying process. If you’ve made an offer for a house that seller didn’t take, don’t be discouraged, since you might find a better home. See if they might offer to cover closing costs or necessary repairs prior to you moving in. Request a checklist from your Realtor to put yourself in the best position before buying. There are many Realtors that have a checklist like this already prepared. It covers the entire home-buying process, from choosing a house to getting a loan. Using this checklist can help you make sure that you have completed everything in time to close the sale. Buying real estate isn’t as difficult as it might seem. You need to take some time to educate yourself and ask lots of questions. If you use these tips, then you’ll be able to make a wise decision on your next real estate purchase. Call me to make your home buying easier ( 917-952-7364 ). Are you ready to grow your wealth and watch your portfolio expand like you never thought possible? While real estate has traditionally been treated as a boring, slow-moving diversifier and stabilizer for portfolios, it can actually do incredible things for you if you know how to tap into your full investment potential. 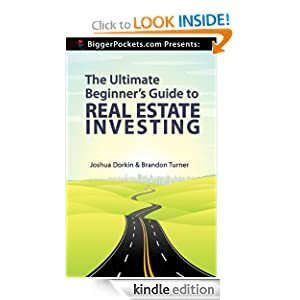 With these tips, you can efficiently and effectively take the steps necessary to gain more wealth and more earning power with your real estate investment portfolio. Whether you’re working with an investment expert to perfect your portfolio or you’ve hired a realtor to help you find the best fix-and-flip houses, communication is key in the world of real estate investing. The clearer and more succinct you can be when communicating what you want and need, the more effectively others can work for you to help you achieve it. Next, use those communication skills to your advantage by networking with people in the real estate industry. You want to get to know brokers, contractors, real estate agents, financial advisors, other investors, and anyone who may have a new perspective or lead on the best investments for your portfolio. You never know when you might encounter a new investing partner, so always take advantage of opportunities to do some networking. Of course, just meeting and greeting people in the real estate industry won’t get you very far if you don’t follow up with them later. Whenever you collect business cards at an event or whenever you meet someone by chance who works in real estate investing, be sure to follow up with a brief, professional email or call within 24 hours. You don’t want them to forget who you are and wonder why you’re emailing them, so always be prompt. Then, after that initial email, be sure to foster and build the relationship so that you create a true connection, not just another name in your phone. Beyond in-person interactions, get online and create an active social media presence for yourself as an investor. Whether or not you create specific pages for your investing ventures, you should be active on Facebook, Twitter, and LinkedIn, showing that you are a serious investor with a head for business. On that note, be very aware of how you present yourself online and in person. Post only professional and appropriate pictures and content. Avoid volatile political debates, and don’t make comments that could make people question your character. You want people to find you on social media, and you want them to see you as someone they’d like to work with, whether in an investment deal or in another venture. When you do these four things, you’ll create a reputation for yourself as a savvy investor with great people skills. You’ll be approachable, and you’ll have the connections you need to get leads on the very best investments in your niche. Brooklynnybpo.com LLC has been in the real estate services business in the New York City, Brooklyn, Bronx, Queens, and Staten Island real estate markets for many successful years and will be here for many more. This longevity and confidence comes from our real estate services to a great many buyers and sellers, and their recommendations to others that result in repeat and referral business that keeps us productive and successful. There is an old saying that goes, ‘no one has your best interest at heart except you’. Even though that is most often the case, real estate transactions don’t have to be like that. Buyers always have the opportunity to sign what is called a buyer’s agency agreement, which tells you what services the agent provides. It’s ideal to work directly with a real estate agent who can provide plenty of information they usually wouldn’t be able to give to other home sellers. Questions about your school district, details about the neighborhood, and property details will all be at your disposal with this arrangement. Your buyer’s agent has a duty to have your best interest at heart, doing everything possible to provide you quality service while making sure all your questions get answered. You will come out on top. The more information you have from a reliable source will give you a better home buying experience. Whether you’re a first-time or last time buyer, you want to know you’re getting a deal, and you will be safe, secure, and happy with the property of your choice. All the more reason to do some homework and choose an agent that has the qualities you are looking for. Here are four reasons why buyers require their own agent while seeking to purchase their new home. No one knows your local real estate market better than an agent! They are beating the streets to investigate the existing and new inventory. They have knowledge of school districts in your area, information about upcoming construction in your local, and have an abundance of other information readily available to them. They’ve reviewed the neighborhoods, know which homes are likely to sell fast and those that may require some care to get under contract. While you may glean a few tidbits of information from the large real estate sites, there is nothing better than going over the facts and figures with an agent who has seen the house and can tell you the finer points about the property. Trust their market knowledge, and ability to discern what you need, to parlay that into a viable home viewing list. Some buyers are very perceptive, and pay much attention to detail to see what exactly it is that they’re buying. When some walk into a home, they are so excited that they fail to recognize some of the shortcomings of the home that could end up being deal breakers. It is understandable that you’re excited and wants to get to the house that is the one for you but beware of rushing because you may miss some of the finer points of the property. Maybe the roof is missing a few shingles. Perhaps the structure is a bit off. How is the curb appeal when you’re looking at the home from the outside? Your agent should be vigilant in spotting any imperfections or potential issues long before you cross the threshold. And, an agent worth their salt will be pointing out all the intangibles, drawbacks and solutions so that you can focus on the particulars of importance to you. Negotiation power is one of the likeliest areas in real estate where not having your own agent can end up costing you a lot of money. Unless you are skilled at revealing which property imperfections or home inspection issues equate to a lower price, or know when the timing is right to ask for additional assistance, it is best to let a skilled agent manage this for you. A buyer’s agent wants to help you get a great deal, close quickly and be happy with both their services and your new home. The better job they do for you, the more likely you are to refer them to your local sphere of friends and utilize their services again when you decide it is time to sell your home. There is no better option when buying a home than utilizing your own buyer’s agent. Do your homework, choose a great agent to represent you, and begin the journey towards owning your own home. It’s that simple. Happy house hunting buyers! How to Determine if Buying an Investment Property is Good for You. Whether you are new to real estate investing or you are a veteran investor, sometimes real estate deals are just not as cut-and-dried as you would hope. You find a property on the MLS; it looks like a great deal, but you’re not entirely certain. You research the area, and you can see that it’s in a growth cycle and that it has a number of amenities nearby. You research the property itself and find that it’s set at a fair market price, but it’s been sitting on the market for some time. And when you look closer at the area, you see that there are still a large number of vacant properties in the neighborhood. Should you buy? On the one hand, if your research is correct and the area is growing, you will likely see increased rental rates in the coming months and years. If the property is in good shape, you shouldn’t have to sink too much capital into repairs and renovations, and you should begin to see a return on your investment fairly quickly. On the other hand, though, if there are still a lot of vacancies in the area, you may have a significant amount of competition for tenants, especially in the first few months. You could have a difficult time finding people to live there, which could wreak havoc on your plans, at least for the short term. Then is where it pays to hire an expert for property consulting. What Does a Property Consultant Do? When you enlist expert property consulting assistance, your specialist will put their knowledge and industry skills to work for you to determine whether a particular investment property is right for you. They will look at the market in the area, conduct a full inspection of the property, research comps (comparably priced properties), look at market trends, and assess secure property management costs, as well. When they finish with their assessment, your consultant will assist you in determining your investment goals because your goals have a lot of bearing on whether or not you should buy the property. For example, if you plan on flipping the property as quickly as possible, you’ll have very different investment goals for it than if you intend to use it as a long-term rental property. Understanding your intentions for the property and for your investment portfolio will help your consultant come to an informed decision about the property. Why Not Just Ask the Selling Agent? When you’re looking at a property for sale in your area, you’ll no doubt have plenty of time to chat with the seller’s real estate agent. This person will likely have a good working knowledge of the market, the area, and the property itself, but they’re not the best choice for advice on how much the property can rent or sell for. While realtors are generally honest people with good intentions, they also have a vested interest in the sale of their properties. An independent consultant or one who works for a real estate investment group has a stake in helping you purchase a property that will work for you, your needs, and your goals. Furthermore, many reputable, secure asset management firms offer assistance with finding the best properties for their clients and members, including consulting services like these. These experts will not only assist you with houses and other properties that you’ve found yourself, but they may also be able to help you by scouting out potential investment properties in the area that match your goals. If you want a fair, honest, and expert answer on whether or not you should buy a particular property, or if you want help finding the right property for your investment needs, talk with my real estate investment firm. Enlist our help with property consultations and advice, and you’ll be making a good decision. Park Slope, Clinton Hill, Fort Greene, Cobble Hill, Prospect Heights, Brooklyn Heights, and Bedford Stuyvesant. The Manhattan neighborhood of the Upper West Side, too, retains many brownstones. Sandstone with a reddish brown color caused by the dissolved iron oxide in the rock, is called brownstone. It was very easy to mine and carve and became very popular in the 19th century. New York and Boston both have a large number of brownstone homes that were built in the form of terrace or row houses with raised entrances. Harlem, Park Slope, and Brooklyn all have large numbers of such homes in varying condition. Brooklyn Brownstones are highly desired. The Scandinavians began working as shipbuilders. In 1916 they joined together to build ‘apartments’. Row house developers started using ‘brownstone’ as their material of choice. Brownstone was very easy to excavate and easy to work with as they could ‘form’ or carve it to fit their needs. Post war the Brooklyn Brownstones were built for influential members of ‘high society’. Condos came into the picture and neighborhoods began to grow. There are hundreds of Brownstone homes enjoyed by families today. Can you imagine living in a building with so much rich history? Made with love, sweat and I am sure blood and tears, these are some of the most beautiful homes, condos and apartments around. You can find Brownstones in all areas of New York including NYC, they are also prevalent in New Jersey as most of the stone was mined there. Brooklyn Brownstones have always been an excellent investment and never stayed in the listings very long. I also noticed how much higher the prices had began to rise. As a Realtor/Broker I am always invested in all areas of real estate but in my own home town I could not believe the phenomenon that was happening. This is the 3rd and final in our Brooklyn Brownstone series. Follow us to learn who desires these properties the most! Or call me and lets find you one. Yes, you can consider it sold! Whether you’re a home owner selling to relocate or a bank holding a repossession we can help! When working with banks and asset companies we offer our unparalleled service beginning with eviction, when needed, and securing the location. We have the property cleaned, yards mowed, repairs done as required, coordinate inspection services, winterize, advertise and market to buyers, give reports, and be there through the closing. Home owners can be assured we will handle your real estate transaction as if we were selling our own home. We will perform a comparative market analysis for fair market value. We will walk you through all the steps and offer you resources to answer any questions you may have. We will help you market your property and navigate the paperwork including closing the deal. Are you ready to develop a trusting relationship? Great, give me a call! The process of buying a commercial property involves a significant investment of time, money, and energy. After an exhaustive search that finally produces the perfect property, a buyer now may be faced with difficult negotiations: Your perfect property may attract more than one offer, and you will need a strategy to deal with these competing offers. Price: It’s human nature to look at the final price when you’re considering making an offer to purchase, and it is particularly difficult when you really want that property. In a competitive environment, your ability to negotiate is limited, and you need put your best foot forward. This may mean offering or exceeding the asking price to ensure that your offer is the most desirable. As well, you may need to consider writing an offer without a financing clause; this shows the seller that you’ve done your due diligence and have already obtained the necessary capital. Deposit: The deposit amount shows the level of intent you have to purchase the property. A larger deposit demonstrates that you have a greater intent to follow through on the sale process; the seller will appreciate the seriousness of your offer if you can make a larger deposit than your competitors. Conditions: When you’re not in a competitive situation, you can go to town on conditions – the seller may not have a choice of accepting them. But when you are competing against multiple offers, consider making a firm offer without conditions. Conditions add a level of uncertainty for sellers, so by minimizing them you remove any potential for uncertainty, and that will make your offer more seller-friendly. If you do want to include multiple conditions in your offer, your commercial real estate agent will help you decide how to present them for best results. You might, for example, consider grouping multiple conditions into a single clause. But be guided in this by your agent, who has years of experience in presenting purchase offers. Time Frames: The seller would likely prefer a shorter conditional period, and you can differentiate your offer by mirroring the seller’s desires. You can shorten the time frame by conducting a bit of ground work prior to submitting your offer; ask your lawyer to conduct a title search on the property. Knowing about any liens and easements ahead of time can help strengthen your offer. If you are unable to determine the seller’s preferred closing date, your real estate agent will likely advise the seller that you’re willing to negotiate key time frames. Decisiveness: In a competitive situation, indecision can sink your offer. Going in, you will need to know what your bottom line is and where you can flexible. You also need to know which areas of the offer you are not willing to bend on. Your ability to make decisions quickly under pressure will play a huge part in the successful presentation of your offer. Ask an agent or broker for help, you’ll find them well worth it. Thanks for your attention and happy investing. Did you miss a post? Catch up on all the stats about the great state of New York! MelKay Administrative Support Service is dedicated to providing our clients with the much needed time to focus on business development. A well trained team is in place to take care of your administrative tasks. The Brooklyn Heights Historic District is a historic district that comprises much of the Brooklyn Heights neighborhood of Brooklyn, New York City. It was named a National Historic Landmark in January, 1965 designated a New York City Landmark in November, 1965, and added to the National Register of Historic Places in October, 1966.